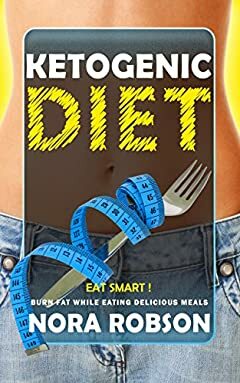 Ketogenic diet: Eat Smart! Burn fat while eating delicious meals. : Ketogenic Instant Pot Cookbook. The Ketogenic Diet is a form of eating that comprises a low-intake of carbohydrates, an average-intake of Protein - and a high-intake of fat. This diet changes the way your body uses energy by altering the process to using fat instead of carbohydrates as its source of energy. This altering often leads to a sustainable weight-loss plan and lean lifestyle for many people. Weight Loss:Â Low-carb diets have been proven to release excess water from your body. Reduction in Hunger:Â Ketones can reduce your appetite. Immunity from Cravings:Â Given that you will always feel full inside of you most of the time due to the ketogenic diet, it will help free yourself from hypoglycemia, food addictions, or any other sugar or food cravings. Lower Blood Pressure:Â After a few weeks, your blood pressure levels will reduce. Lower Cholesterol:Â In the ketogenic diet, you will consume lesser amount of sugar, thus causing a lower rate of damage to your arterial system. Reduction in Triglycerides:Â Carbohydrate consumption is linked to triglyceride levels. So, reducing your carbohydrate intake will result in the reduction of triglycerides. Reduction in Blood Sugar and Insulin Level:Â As you consume far lesser sugar and carbohydrates, you will emphatically reduce your blood sugar level and insulin level by a margin. This Instant Pot cookbook will guide you through the process of beginning a new life â€“ a healthy life and will prove you that delicious, mouthwatering dishes can be healthy and useful, and even more â€“ easy to cook. My Keto recipes are a perfect choice for those who want to eat tasty meals and lose weight at the same time. Yes, Iâ€™m correct â€“ you burn your body fat while eating savory dishes. Donâ€™t believe me?Â Grab this book and try for yourself!